Believe it or not, your business is not simply about the strategies you apply on a daily basis. 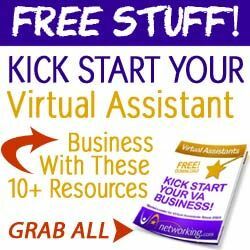 Sure, you can run a very successful Virtual Assistant business while working around the clock and not taking time out for your health, but inevitably we can only go on that way for a set amount of time before we burn out. Instead, why not attack your business strategy with a multi-step or a “whole” approach. This idea is based on the fact that a healthier and more positive you will mean a more prosperous and thriving business. #1 – Take care of you. You are at the forefront of your business. In order to stay there, it’s important you take the time out for yourself. Give yourself a set amount of time each day – it doesn’t have to be a lot of time – to enjoy the little things that give you pleasure. Remember all work and no play really does make for a dull day. Take time out to enjoy the things that are important to you away from the business. #2 – Eat a healthy and balanced diet. Although this may be time-consuming at first, eating a healthy diet is the one thing you can do to make an instant improvement in your business. Following a healthy diet means that you’ll have more energy overall. You’ll suddenly find getting through your tasks becomes easier and your new sense of energy will also help to bring a fresh perspective and ideas to your business. Remember it’s not only your body that will be more energized but your mind too – an extremely important tool for running a profitable business. #3 – Exercise a little. Just like following a healthy diet, exercise will help you stay energized and motivated. Many entrepreneurs swear by early morning exercise. They say that this “sets them up for the day” and keeps their energy levels up. If fitting in regular exercise seems daunting, do it one step at a time: park the car a bit further, walk whenever you can, cycle to work, walk around the block at lunchtime, climb the stairs a few times a day – a little goes a long way when starting out. #4 – Keep stress levels in check. Stress really can be a silent killer. And when you’re running a business you may be under constant stress without even realizing it. Take time out to do a few breathing exercises each day, follow a healthy diet, exercise, take the time to simply refresh and recharge your batteries on a daily basis. All of this will help reduce your stress levels and keep you functioning at your best. #5 – Take care of your mind. It’s not only your body that needs to be kept healthy, your mind does too. Take time out every day to relax and clear your mind of all work and responsibilities. Studies have proven that people that regularly meditate are more productive, healthier and happier. This is probably because by doing this you’re also reducing your stress levels by keeping your body rhythm steady and relaxed. Make it a point each day to choose a suitable time to reflect and completely clear your mind of all your worries. Finally, remember your body is a vessel and what you put into it and the way you generally look after it will make a big difference to your overall life. By taking the time to care for your body and mind properly, you’re indirectly helping your business – because if you’re at your best, then you will give your best in everything you do. That can only lead to good things. 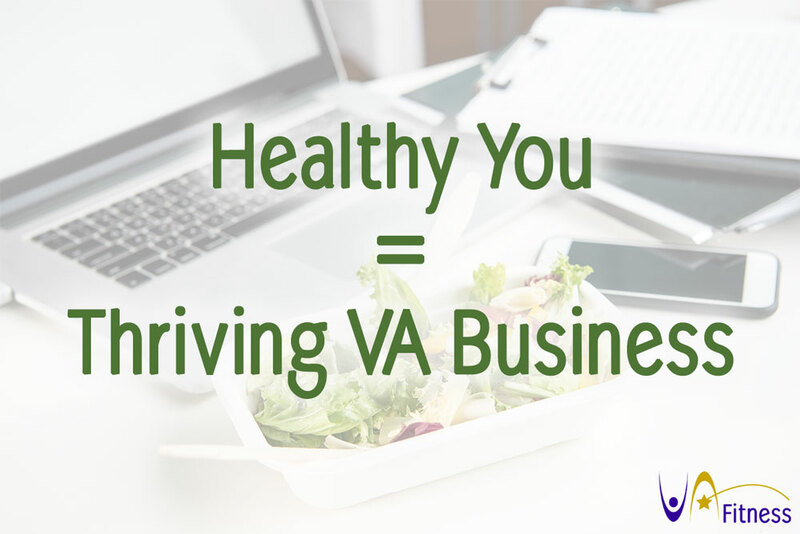 Yes, send me my Healthy VA Planner! Send me my Healthy VA Planner! * All information provided on this site is intended for your general knowledge only and is not a substitute for a professional's advice. 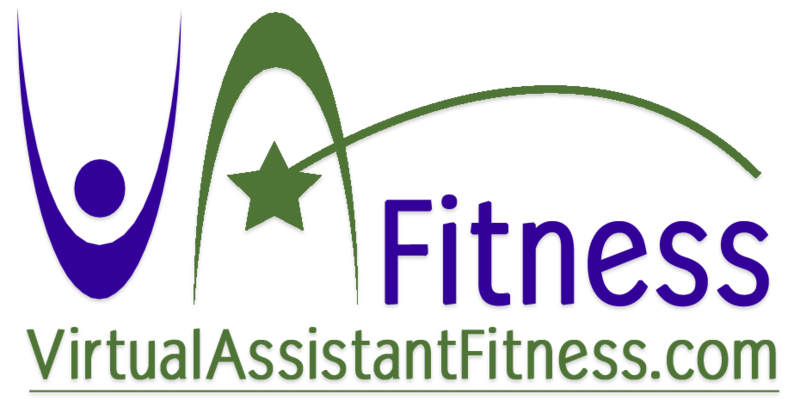 Use of the tips regarding getting fit and healthy is at your own risk. Please consult your physician before starting any diet or exercise program.